PLEASE ALLOW UPTO 4 WEEKS FOR THIS PRODUCT TO BE DELIVERED. 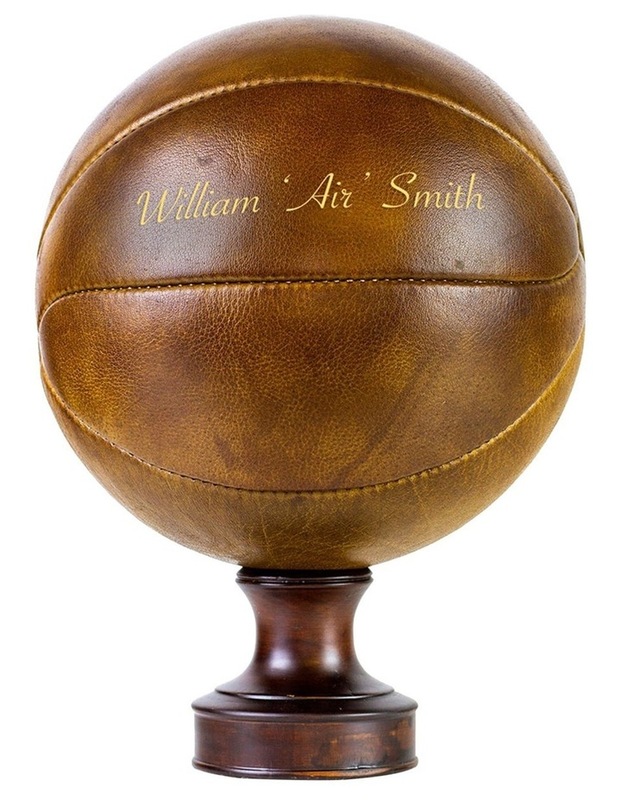 A personalised designer vintage inspired leather lace-up basketball ball. This classic design will bring out the memories of yesteryear. The Heritage Leather basketball is stunning to look at and is hand constructed of fine cowhide leather. Personalise it for basketball fans with a name or a short message. We print in mixed case and will print exactly as you request on the order form. Please ensure any capital letters and used in the correct positions and check for spelling errors! Individually hand-crafted using 100% full grain cowhide leather with a heavy-duty rubber bladder Please note the colour of the leather will vary dependant on available raw material. Made from rich, supple leather, the vintage basketball will age beautifully and become a constant. As we use full grain leather there may be marks, scars and colour differences. These are not imperfections, they are part of the makeup of the leather and reflect its authenticity. Ball will be supplied inflated in plain packing. Personalisation: 2 Lines with a maximum of 24 letters including spaces in a classic font.